Home » Beer Reviews » Dieu du Ciel!’s Winter 2018 Bottle Release Yields Several New Barrel-Aged Variants! 2018 is upon us. And before we can even scratch the surface of amazing beers to come, Brasserie Dieu du Ciel! is about to release a plethora of new variants for us all to salivate over. That’s right, this weekend is Dieu du Ciel! St. Jerome’s 10th anniversary party, as well as the 2018 Marché bottle release! 259 rue de Villemure. Saint-Jérome, Quebec. The Marché is from 12:00 to 18:00, while the Pub festivities run from 15:00-3:00. Just like previous years, in order to control exceptionally long line-ups and potential disappointment, Dieu du Ciel created an online registration process to reserve bottles ahead of time. Due to the popularity of the event, it only took three minutes to fill up. This certainly caused some angst amongst those who were turned down, but at least no one has to wait outside in arctic temperatures only to be potentially turned away after several hours. As well, there will definitely be leftovers to purchase on site if you simply want to show up (however, obviously not the highly-sought-after beers carrying low limits). And, you can take part in the festivities at the bar, where pretty much everything you couldn’t reserve will be available to drink on-site. Although there aren’t any brand new titles this year, there are several new and extremely exiting variants; like L’Exorciste Raisin de Glace, Rigor Mortis Porto, Rigor Mortis Pinot Noir, and the return of the highly acclaimed L’Exorciste Sauternes. Not to mention the always earth-shattering Péché Mortel Bourbon. I was very fortunate to get my hand on a few bottles ahead of time so that I could give you my thoughts. Enjoy! 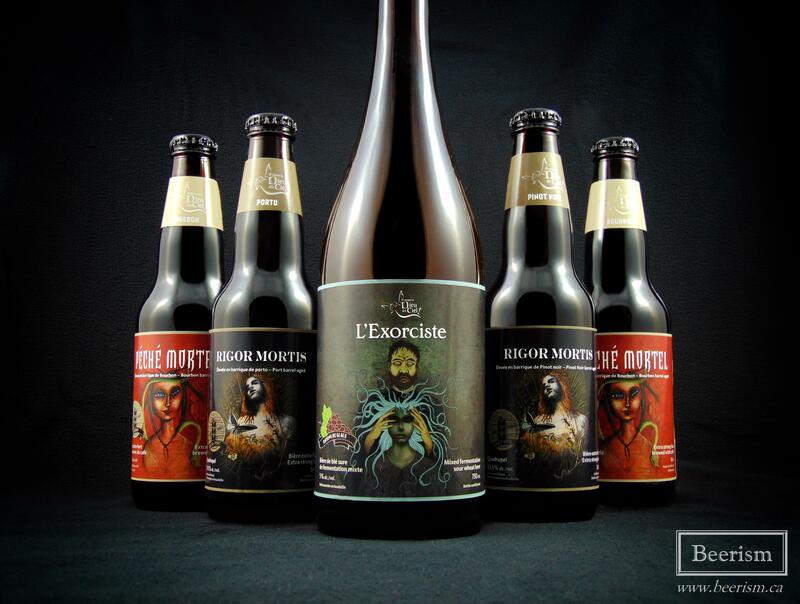 This release will be the second time Dieu du Ciel has created a Rigor Mortis variant. The first being an extremely rich and delicious Brandy barrel-aged edition. I’m anxious to see how the Porto transforms this beer. 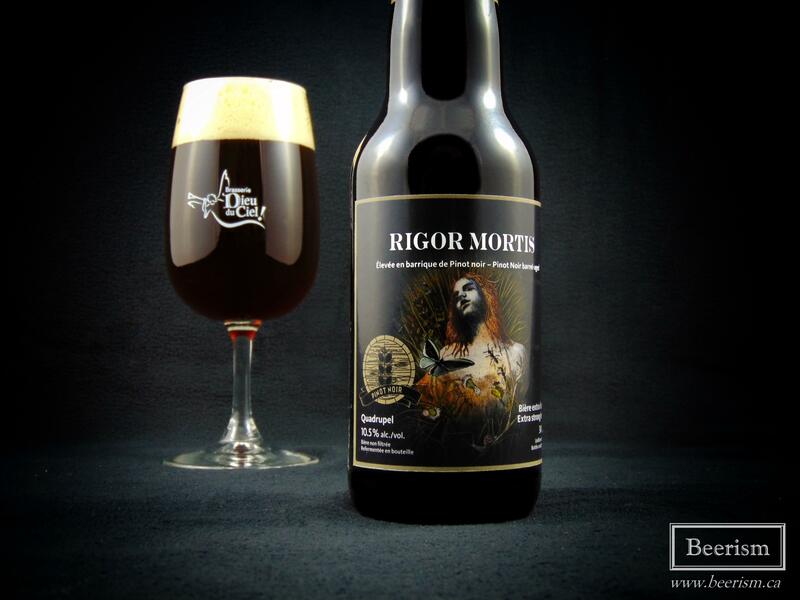 For many beer-geeks, Belgian Quads are not exactly an exciting style anymore, but Rigor Mortis is one of those classics that always interests me. The nose is a complex aromatic experience. It stars with loads of sweet red fruits, mixed in with raisins, grapes, and figs. Rich fortified wine comes through, lending layered sweet aromatics. Subtle spicy phenols emerge as well, providing some cloves to the mix, while tart vinous notes add a subtle afterthought to all the rich fruitiness. Onto the palate. Wow, this is such a different beer. It’s rich and sweet like Rigor Mortis always is, but the sweetness is immediately cut down by a tannic and unexpected tart finish. The spicy Belgian yeast is also more subtle and not as apparent as usual. The flavour profile is quite vinous-forward, carrying a wine-rich red grape sweetness, mixed with ripe cherry, dried cranberries, raisins, and light caramel maltiness. There is a amazing tang, with some oak tannins drying the finish. The alcohol is so well hidden that it flows down like nothing. This might have been the most easy drinking quad I’ve ever had. I finished it in 10 minutes. As usual, all of us beer-geeks are ecstatic with the idea of landing some of the latest Péché Bourbon. Let’s see how this 2017 edition fairs. Finally we have Rigor Mortis Pinot Noir. Like the Porto, the nose is rich and complex, while also being a bit understated. Caramel sweetness mixes with light Belgian yeast phenols, adding a touch of clove and cardamom pod spiciness. Vinous wine-soaked oak comes through as well, lending vanilla and some light tannic acidity. Off the bat, the Pinot variant is boozier, and a bit more quad-like if compared to the Porto. You get big caramel maltiness, carrying rich dates, brown sugar, and general dried fruits – but the sweetness is cut quickly by sharp oak tannins and a little ethanol burn. The finish is long and dry, with echoes of vanilla and spicy oak. 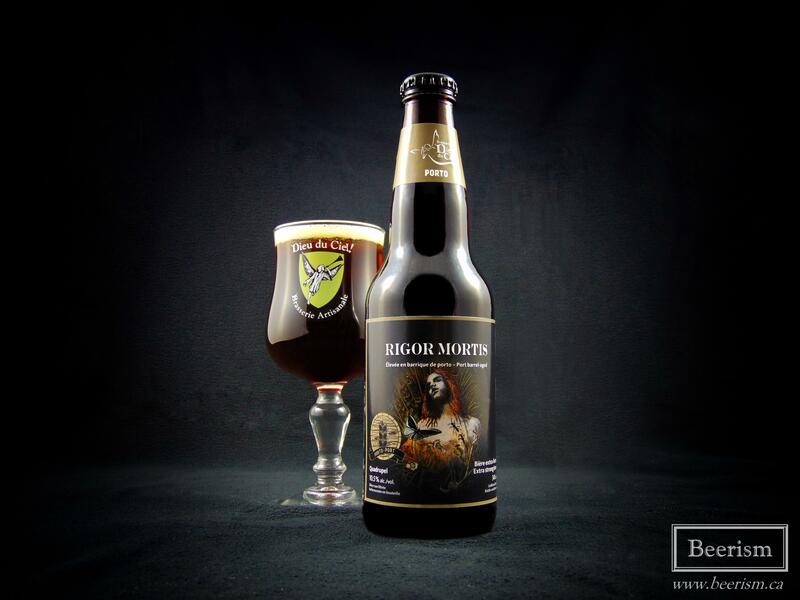 The balance here is perfection, with the rich maltiness you’d expect from Rigor Mortis, but with oak tannins drying out the beer exquisitely, and the barrel adding amazing flavours of vanilla and vinous red grapes. Everything is subtle and brilliant. I feel like the Pinot compliments the beer in a way that allows it to be what it always is, while still transforming it into something more complex and refined. This is my favourite variant to date. This is a mere sample of the slew of bottles available this weekend. 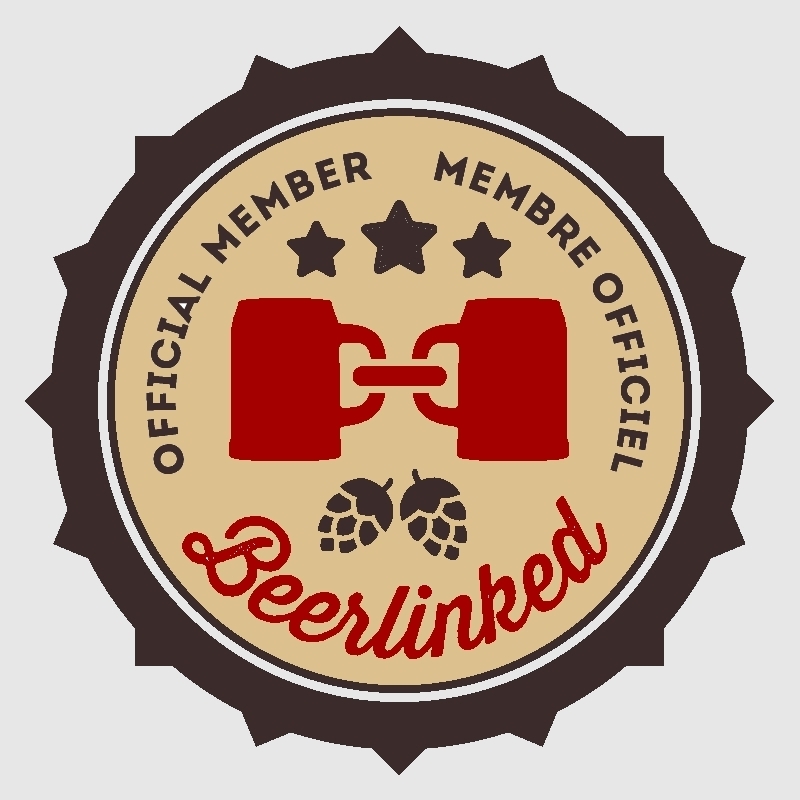 Visit the Facebook event for a full list of all the beers being sold. 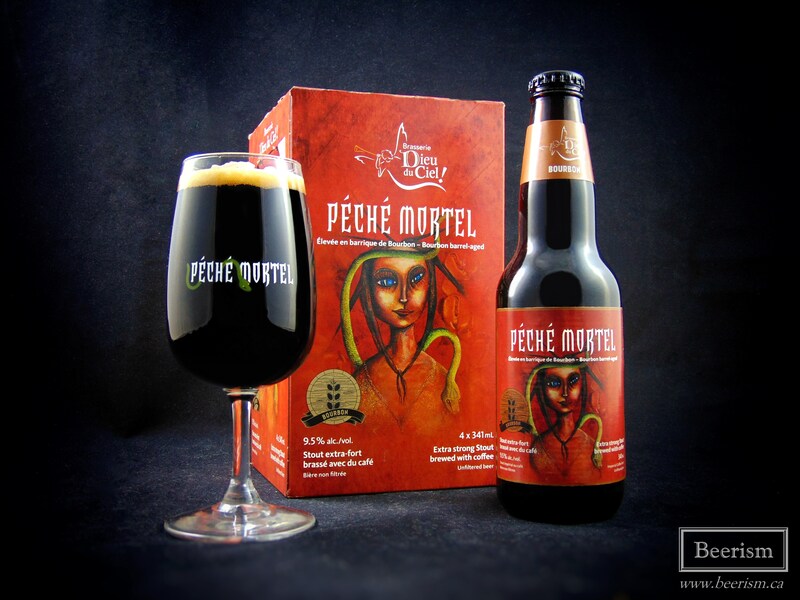 As usual, Péché Mortel Bourbon is a delight, and both of the new Rigor Mortis variants were quite brilliant in their own way, each being transformed by the barrels they were aged in. I did not have a chance to write about the new L’exorcist variants, but hope to soon. Once again, Dieu du Ciel! hits the nail on the head. If you’re heading to the party, have fun and stay warm!